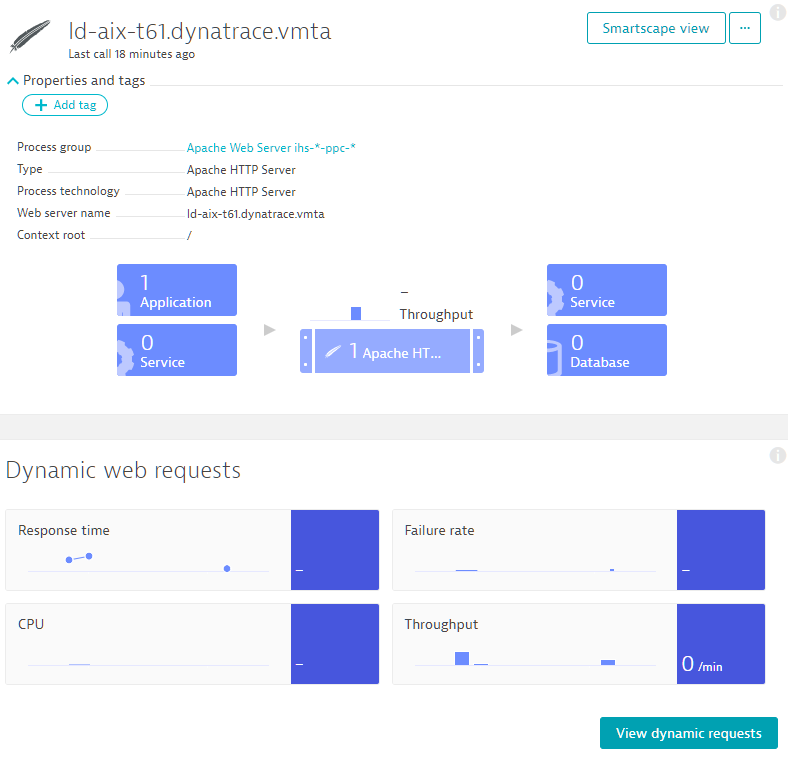 Dynatrace is proud to announce the general availability of support for IBM AIX for Java (specifically IBM JVM and WebSphere) and IBM HTTP Server (Apache HTTP server). These two modules have been in Beta for the last six months or so. They’ve proven themselves at numerous customer locations and they’re now ready for prime time. 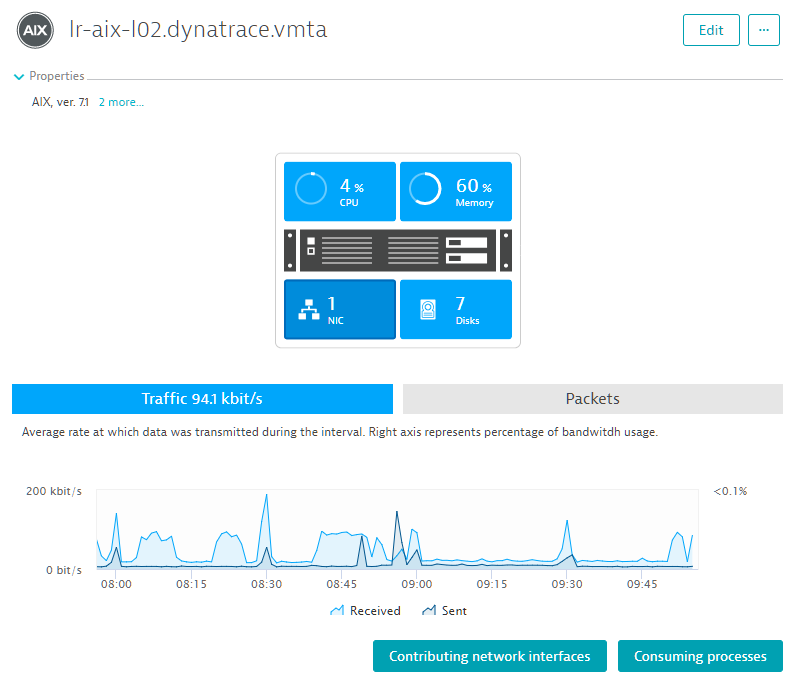 For complete instructions on setting up Dynatrace to monitor your AIX-based applications, please see How do I install OneAgent on AIX? 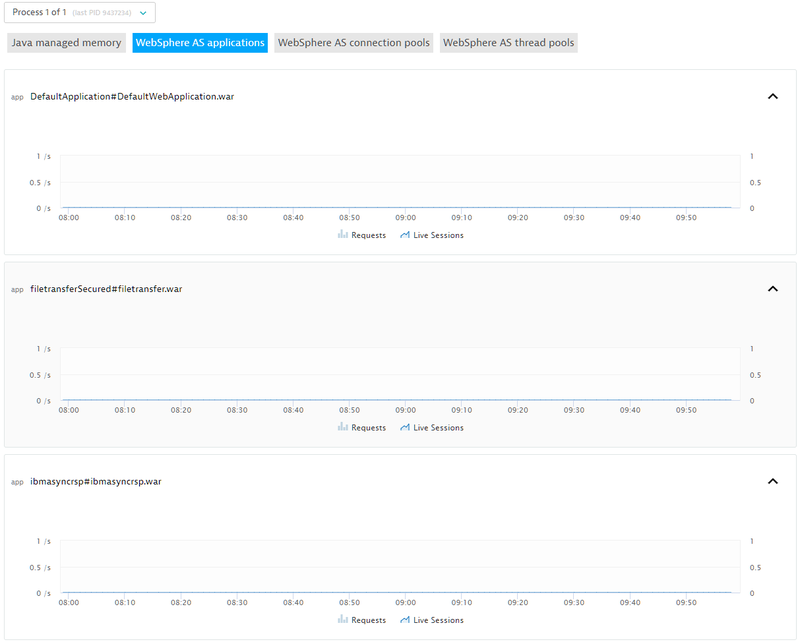 Once you’ve installed Dynatrace OneAgent and restarted your applications, you’ll see your AIX-based hosts listed on the Hosts page. Select the host to view the host overview page (see below). Note that the AIX version is listed in the Properties section. 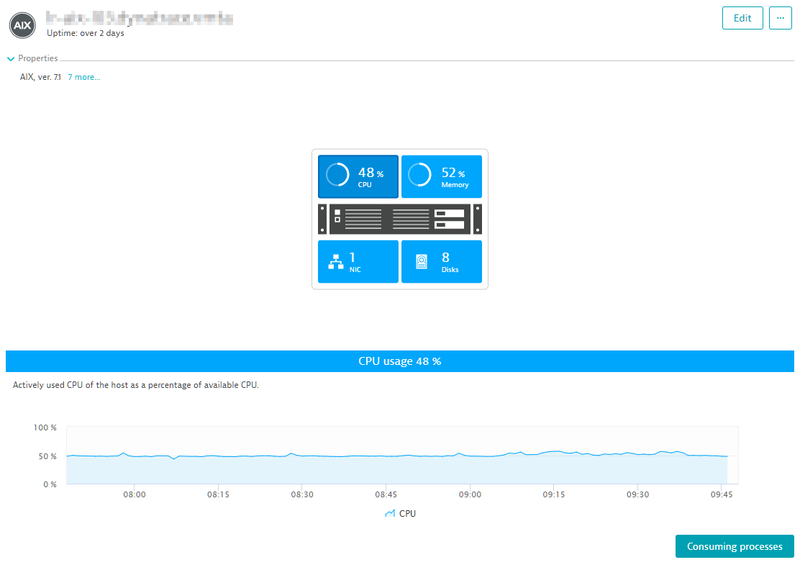 All the standard host CPU and memory metrics are available here. 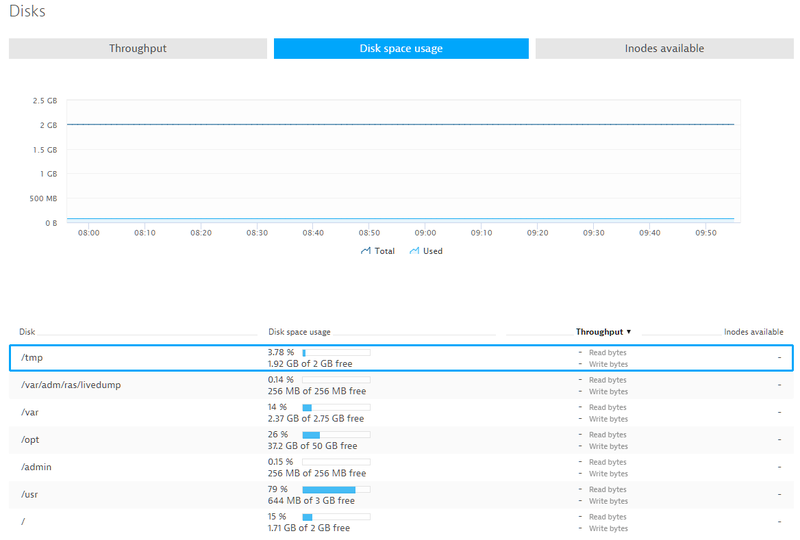 AIX network metrics and disc space metrics are also available (see below). 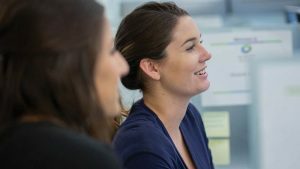 Drilling down from the host level to the process level, you gain even more insight. 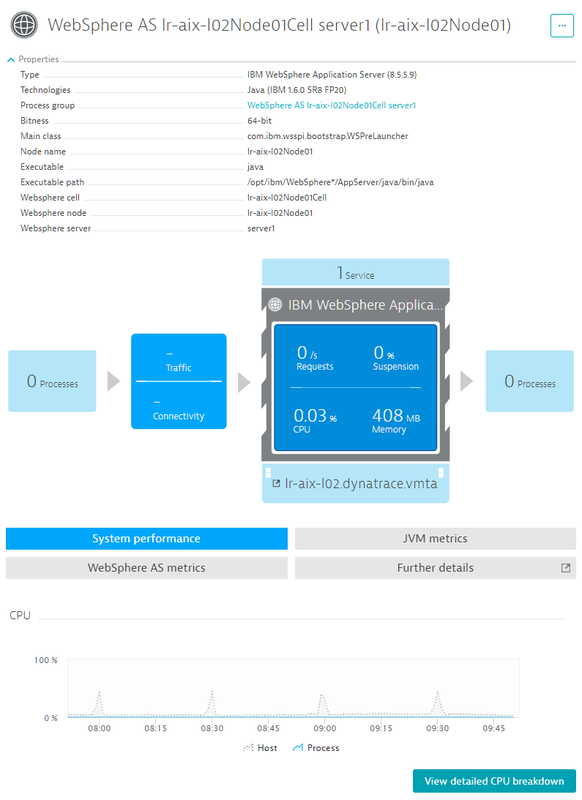 The example below shows all the metadata and performance metrics of a running WebSphere server. 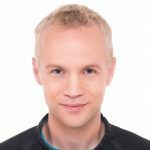 The metrics include all typical process and Java metrics. All the most important WebSphere PMI metrics are also included. 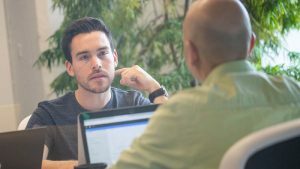 All WebSphere applications that you deploy are monitored down to the request level as services. 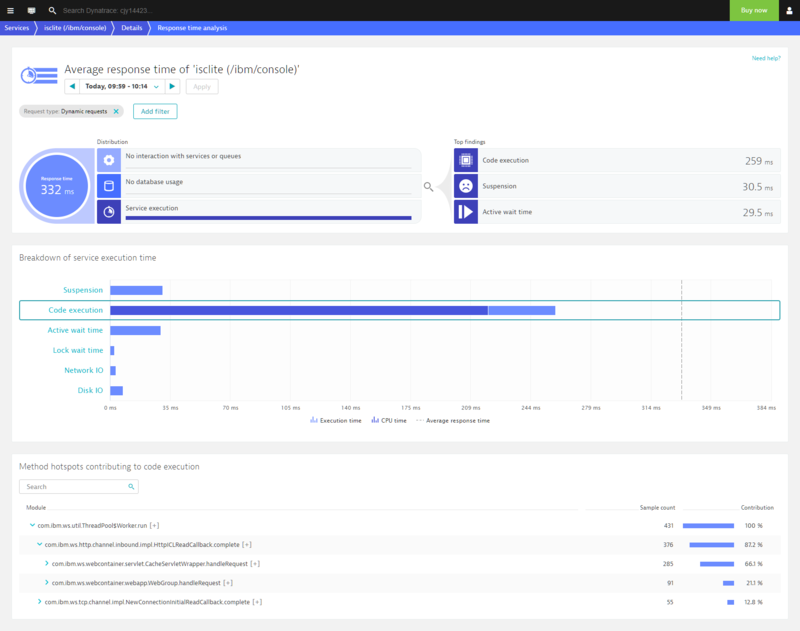 All the standard Dynatrace service and performance-analysis metrics are available, down to the database and code level. We also support Apache IHS on AIX. 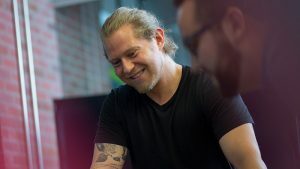 This includes our full range of existing support for Apache HTTP Service. 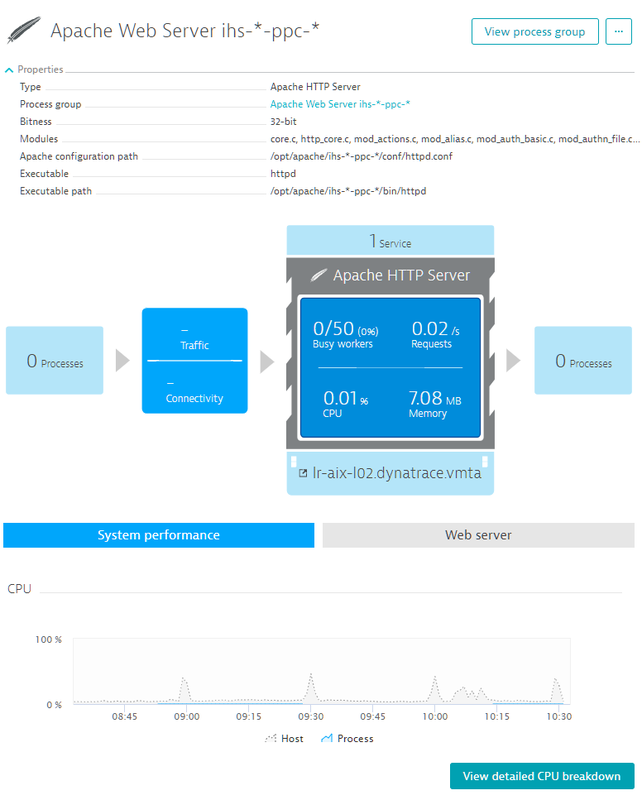 And, of course, Dynatrace tracks all requests on Apache HTTP Server. 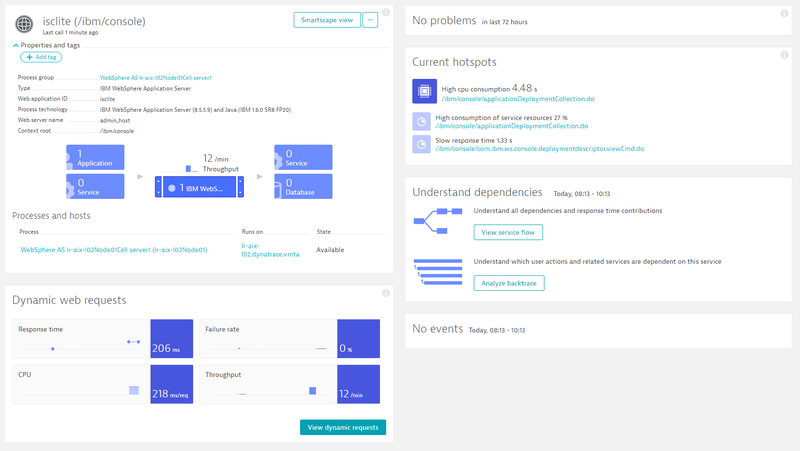 To see all the details of everything Dynatrace supports, have a look at our supported technologies matrix. Note: AIX support requires Dynatrace OneAgent 1.127 or higher.